A simple recipe for everyone’s favorite soup! Creamy broccoli cheese soup is good any time of the year. Happy New Year! I hope you all had a fantastic holiday season. As usual, the year flew by, but I’m super excited for 2019 so there’s no complaining here. One of my focuses for 2019 is going to be quick and easy meals… because baby is coming. Which means less time spent in the kitchen! Whenever I need a quick and easy meal I always go for soup. I can open my fridge, grab a bunch of ingredients, throw them into a pot and end up with a great meal. The leftovers make great lunches throughout the week and also freeze well. 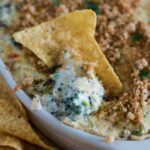 Broccoli cheese soup has always been a favorite of mine. I mean, who doesn’t love broccoli cheese soup?! 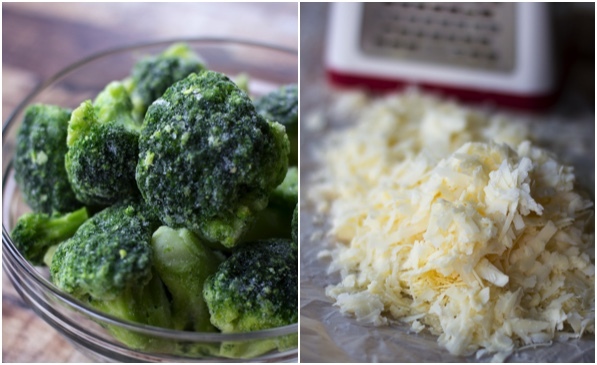 Broccoli and cheddar will forever be a winning combination. 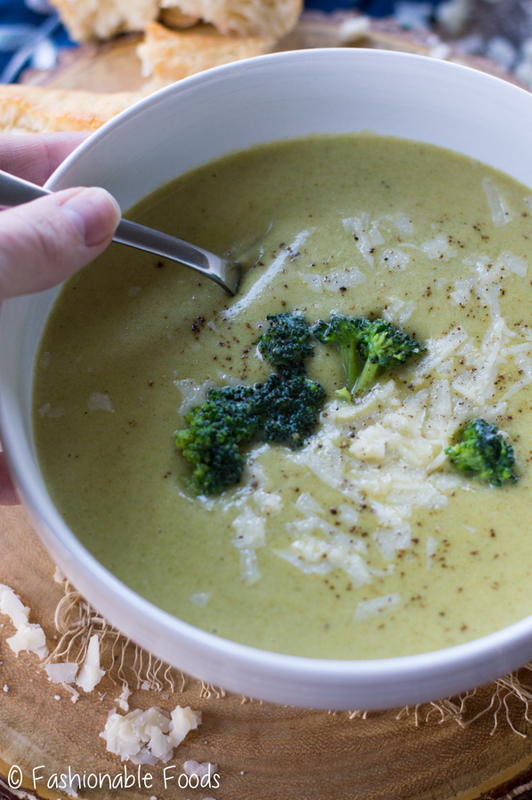 The great thing about this easy broccoli cheese soup is that it’s simple! You only need one pot, a handful of ingredients, and there is minimal chopping. 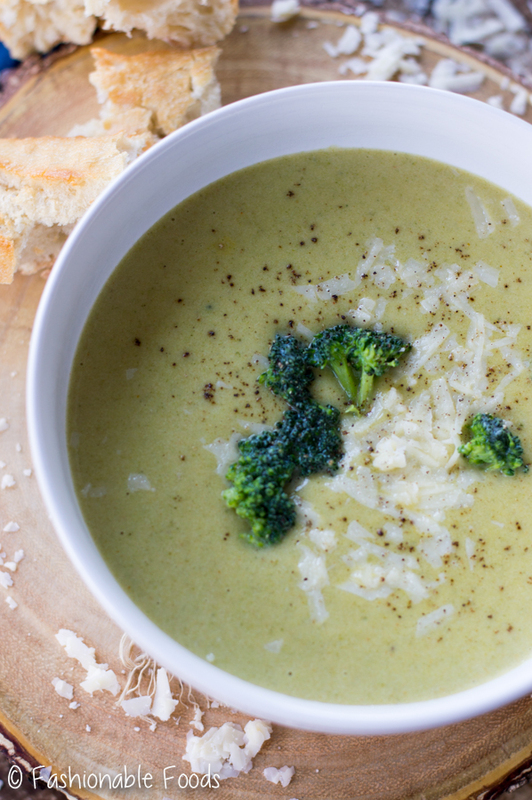 Using frozen broccoli is seriously genius for this soup. 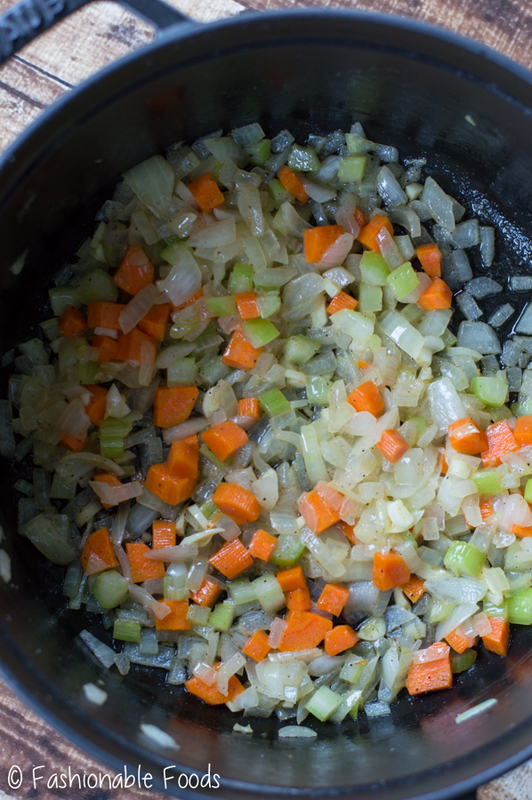 And, if you use pre-chopped or frozen mirepoix (mix of onion, carrot, and celery), you can avoid chopping all together! Within 45 minutes you’ll be chowing down this creamy, cheesy, and comforting soup. And the majority of that time is hands-off simmering time. 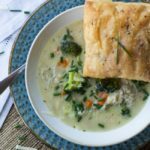 I use a mixture of chicken stock and milk for this easy broccoli cheese soup and thicken with a roux. A lot of broccoli soup are super thick and that’s not something I like. I prefer thinner soups so I find that the mixture of chicken stock and milk to work perfectly. As things are simmering you may think it’s not thick enough, but once your puree it, it thickens more. You’ll also get added thickness once you melt in your cheese! And let’s just take a moment to talk about the cheese. Use good quality cheese, people. This isn’t the time to grab a bag of pre-grated cheese. Get a good block of sharp (or extra sharp!) cheddar and grate it yourself. Not only will the flavor be better, but the melting quality is much better than the pre-grated stuff! 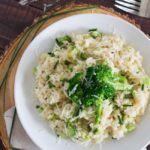 I highly recommend serving some crusty bread alongside your broccoli cheese soup – it makes it taste even better. ? This is one soup I will never tire of and when it’s this easy to make, it’s most definitely a winter staple. Who am I kidding? 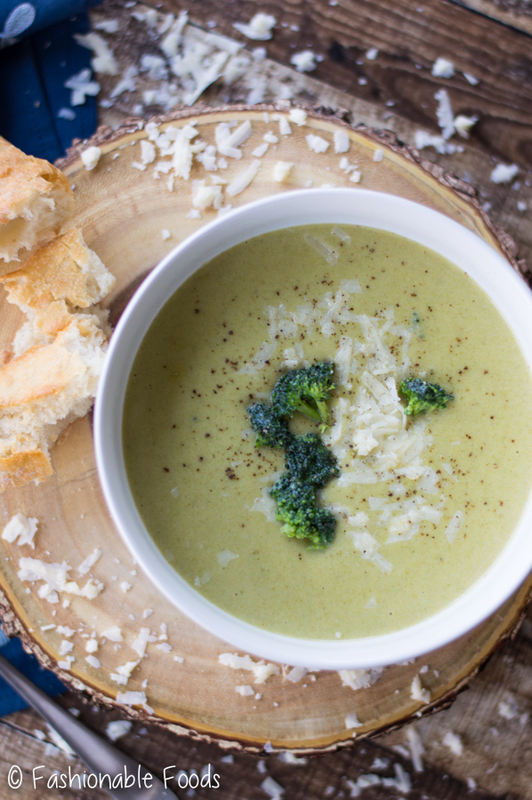 This easy broccoli cheese soup is an all-year-round staple, not just for winter! A simple recipe for everyone’s favorite soup! 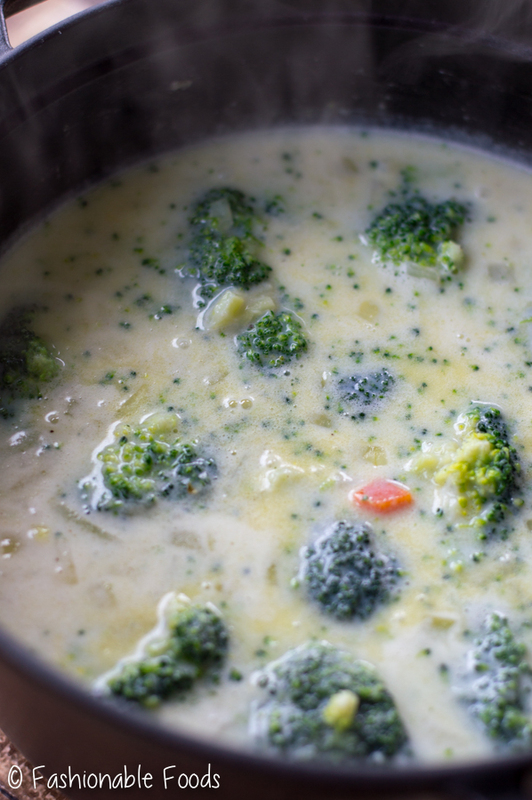 This easy broccoli cheese soup is good any time of the year. Melt the butter in a 4-5 qt. soup pot over medium heat. Add the onion, carrot, and celery and sauté for 2 minutes, or until the vegetables are soft and fragrant. Stir in the garlic and cook for 1 minute more. Season the vegetables with the salt and pepper. Whisk in the flour and cook for 1 minute before whisking in the chicken stock and milk. Bring the mixture to a boil before adding the broccoli. Stir in the Dijon mustard and cayenne pepper and bring the soup back to a simmer. Cook the broccoli soup for about 15-20 minutes or until the broccoli is very tender. Puree the soup using an immersion blender (or regular blender) until desired consistency. I like mine super smooth! Slowly stir in the cheese until melted and serve! after reading this amazing post I think I must give it a try. I hope I will make them like you.